In 1998 Boris Yeltsin appointed as director of the FSB Vladimir Putin, a KGB veteran who would later succeed Yeltsin as federal president. Putin was reluctant to take over the directorship, but once appointed conducted a thorough reorganization, which included the dismissal of most of the FSB's top personnel. The Federal Security Service is one of the successor organisations of the Soviet Committee of State Security (KGB). Following the attempted coup of 1991 — in which some KGB units as well as the KGB head Vladimir Kryuchkov played a major part — the KGB was dismantled and ceased to exist from November 1991. 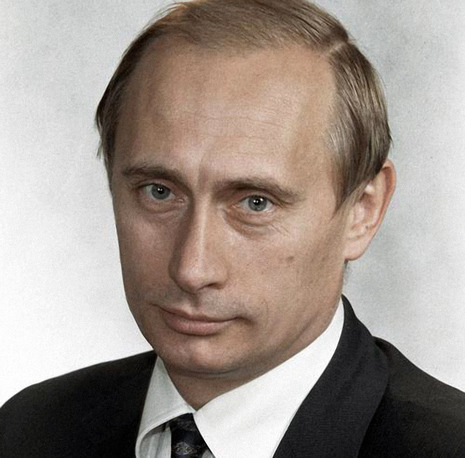 In December 1991, two government agencies answerable to the Russian president were created by president Yeltsin's decrees on the basis of the relevant main directorates of the defunct KGB: Foreign Intelligence Service (SVR, the former First Main Directorate) and the Federal Agency of Government Communications and Information (FAPSI, merging the functions of the former 8th Main Directorate and 16th Main Directorate of the KGB). In January 1992, another new institution, the Ministry of Security took over domestic and border security responsibilities. Following the 1993 coup attempt against President Boris Yeltsin, the Ministry of Security was reorganized on 21 December 1993 into the Federal Counter-Intelligence Service (FSK). The FSK was headed by Sergei Stepashin. Before the start of the main military activities of the First Chechen War the FSK was responsible for the covert operations against the separatists led by Dzhokhar Dudayev.